Enchanting, colorful costumes. Skillful footwork. A high pitch grito (shout). These are the familiar elements that define Mexico’s ballet folklórico or “folkloric dance.” Our July Featured Artist Steven Valencia might add “his inspiration,” too. 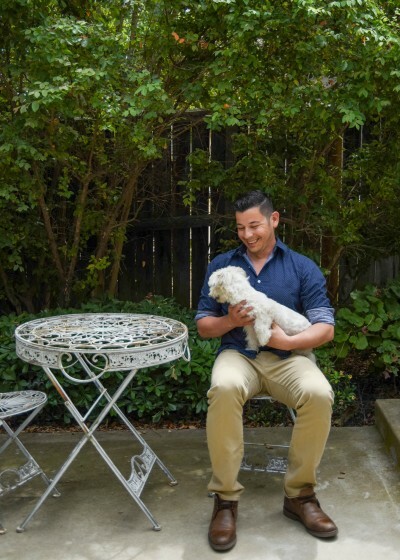 This month, we connected with Calidanza’s Artistic Director to learn more about his life-long passion. 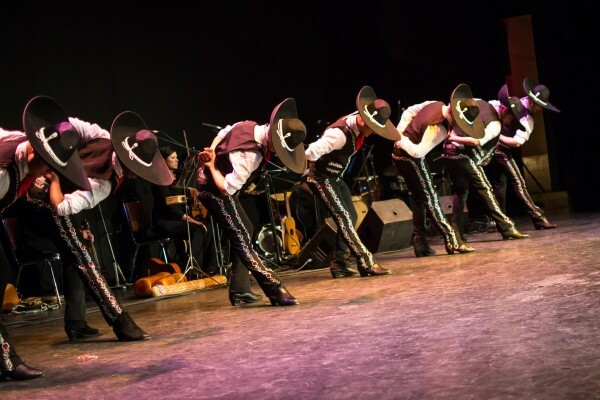 As the leader of the Calidanza folk dance company, Valencia seeks to advance, celebrate and preserve the culture of Latino, Chicano, and Native populations for generations. And he’s been pretty good at it. He’s worked and toured with some of the best instructors from across the border, choreographed traditional and modern professional productions in and around the Sacramento region, and was even awarded the 2011 Maestro Award from The Latino Arts Network of California for his efforts. What may be the most peculiar thing about Valencia’s success is that he juggles his time at Calidanza with the California Department of Corrections and Rehabilitation. Read on and discover what quite literally moves our featured artist below. 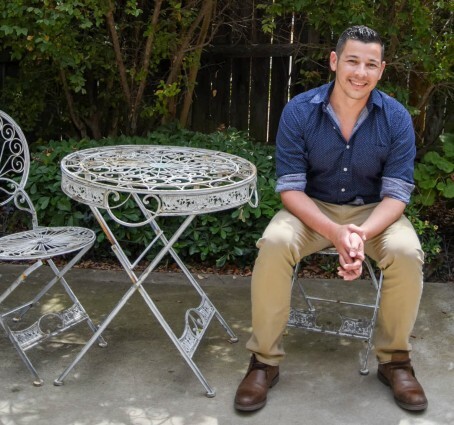 Sacramento born and raised, Steven Valencia is a fourth generation Mexican-American, who, from the get-go was involved with ballet folklórico. “My mother encouraged me to explore dance as a way to understand my culture. Folklórico was foreign yet familiar to me. I loved the music and costumes, but I didn’t understand its language (at the time). Dance was also very important in the social fabric of my neighborhood, so I definitely had to be a part of the scene.” Participating at New Helvetia (now Jedediah Smith) Elementary School’s in-school art program got him hooked and led him to a lifetime of learning. Along with minoring in Dance at Sacramento State, Valencia trained and taught with leading folklórico instructors from San Jose to Jalisco; with every lesson finding inspiration, and soon enough, a purpose and mission. Valencia combing through his extensive costume selection in his home studio. Photo by Jennifer Yarmoluk. After years of training, the young dance veteran reestablished his hometown roots and worked as the artistic director and program administrator at Instituto Mazatlan Bellas Artes de Sacramento (IMBA) from 1998-2012. 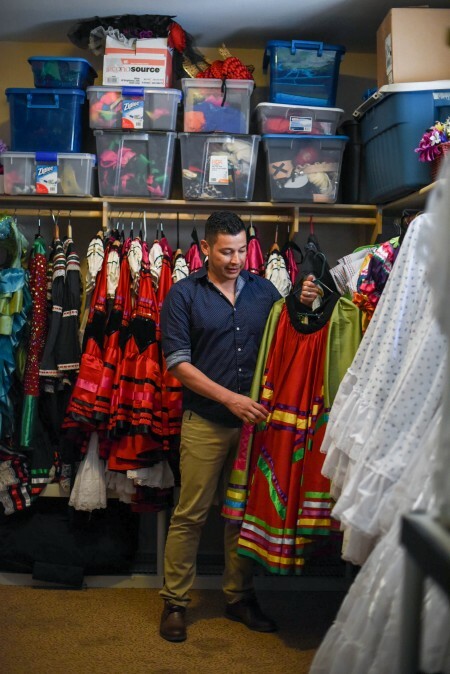 The position allowed Valencia to pursue his dream of developing ballet folklórico in the Sacramento region. Over his tenure the company put on three professional level productions, won dance competitions, and even showcased the art in China. But artistic expression was what he craved. Photo courtesy of Calidanza Dance Company. This ethos has led Valencia and Calidanza to perform at local schools as part of Any Given Child, to teach Twin Rivers School District’s children during in-school arts programs and more. Like his mother, Valencia recognizes that understanding one’s culture and identity is essential for guiding youth. During our conversation, Valencia also stressed the need for a medium-sized professional theater in the city of Sacramento. “It is very hard to fill seats and make a profit with the existing theater stock. I always face a conundrum — what do I want more: more bodies in the audience or higher ticket sales? These fun facts and teachable moments had to make it into our write up somehow. Valencia is a big fan of HGTV’s Property Brothers. Not only was this evident by taking a quick glance of his stylish Elk Grove home, the show was actually playing on a TV during our interview. His life’s motto: Work hard, learn, live, and enjoy the ride. What differentiates Calidanza from other folkloric companies is the element of CALIDAD (quality in Spanish). Valencia and his pooch, Buddy. Photo by Jennifer Yarmoluk. All July long Sacramento365 is encouraging readers to create their own local summer adventures, so, we had to ask Valencia how he likes to keep cool in the 916. Interview by Sacramento365’s Content & Social Media Coordinator, Jamila B. Khan. I’m anxious to attend one of your performances. You are so very dedicated! Keep inspiring the young children and teens!